My friend Nicky can’t eat wheat. It kind of puts a damper on making her a birthday cake. After my previous attempt at making a gluten free cake from scratch, I decided to go with a mix and doctor it a bit. She wanted a chocolate cake so I added chocolate and cocoa powder to the mix to give it a nice, milk chocolate flavor. I made the flowers about a week in advance. This made assembly much easier. 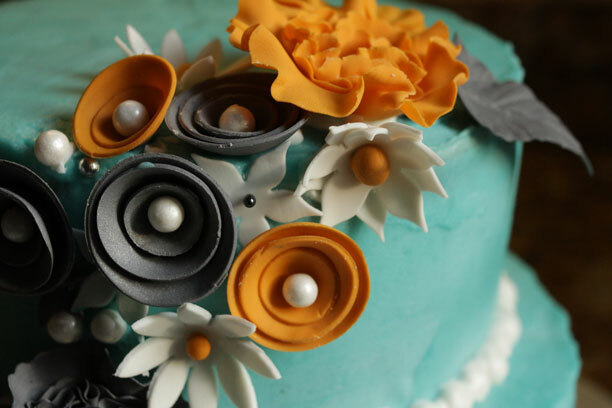 It was more like a fun arts and crafts project because I didn’t have to worry about making the flowers right before putting them on the cake. Also it gave the flowers time to firm up. They are made from gumpaste which gets pretty hard after 10-24 hours. 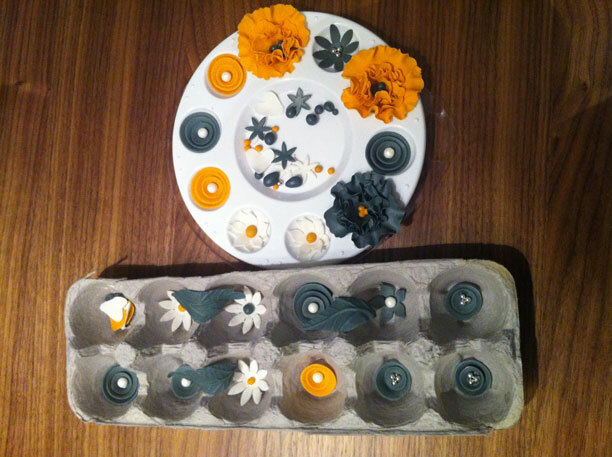 I also filled in some of the gaps with silver and white dragées (balls of sugar). I finished it off with a royal icing trail of pearls around the cake. I also decided to make a custom board for this cake. Unfortunately I only had one the same size as the cake so it’s a bit hard to see. 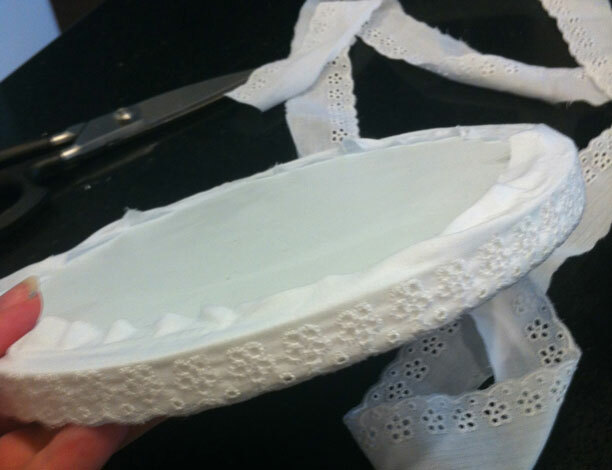 But I trimmed it with lace to go with the girly, romantic theme of the cake. 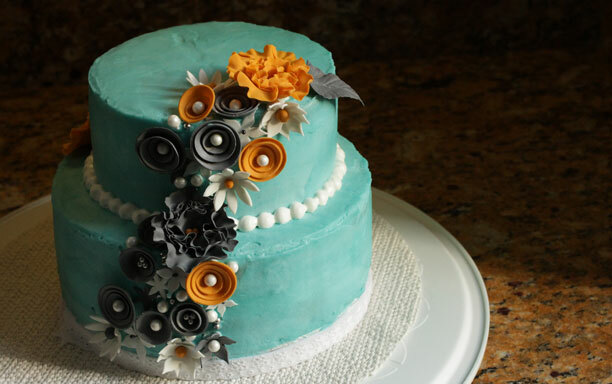 The cake was made with gluten free mix and vanilla buttercream, dyed turquoise. I’m so in love with the cake. This is definitely one I’d do again. The flowers were fairly quickly to make and they really make a big impact. I think it would be perfect for a wedding or a shower cake.